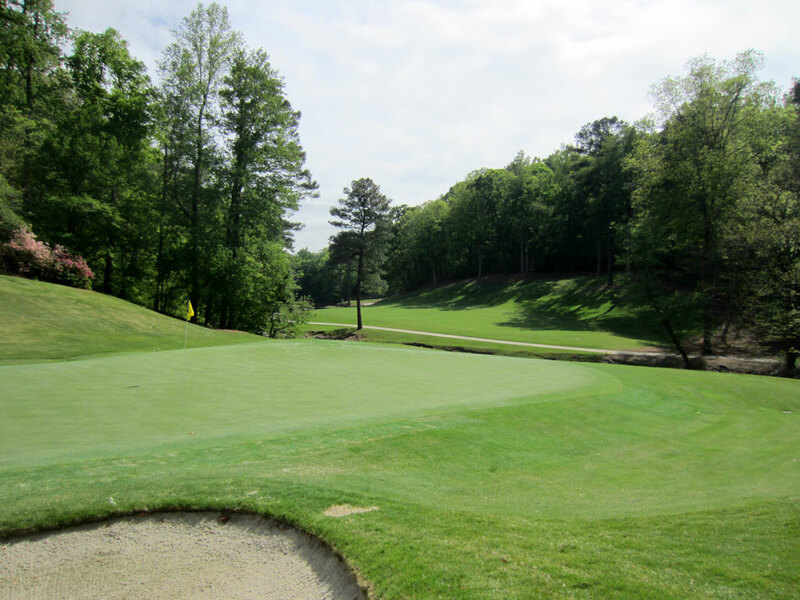 Course Website: Official Website - Visit Atlanta Country Club's official website by clicking on the link provided. Accolades: Ranked 2nd in Georgia on Golf Course Gurus' Best in State list. 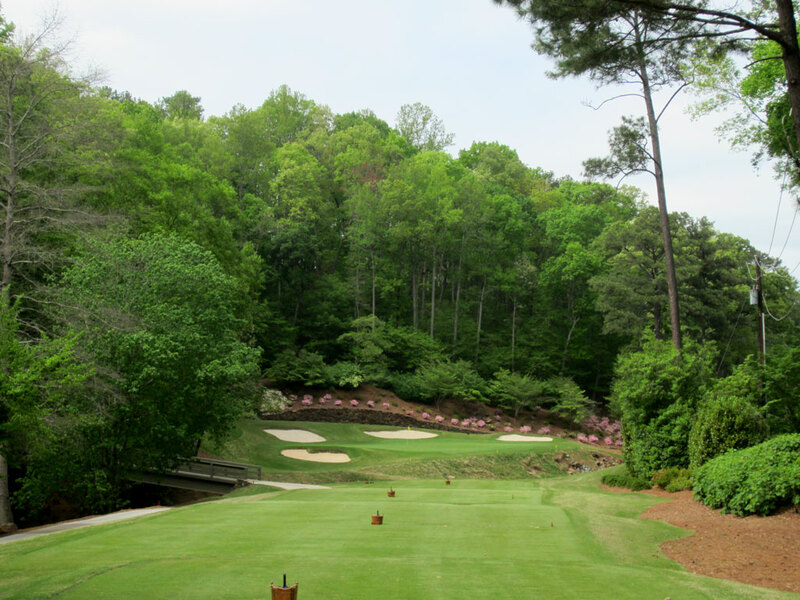 What to Expect: Atlanta Country Club is a gem located in the northern suburbs of Atlanta where many of Georgia's most prestigious private clubs are found. The course was built during golf's boom in the 1960s when a record number of municipal courses, par three courses, and affordable courses were constructed. 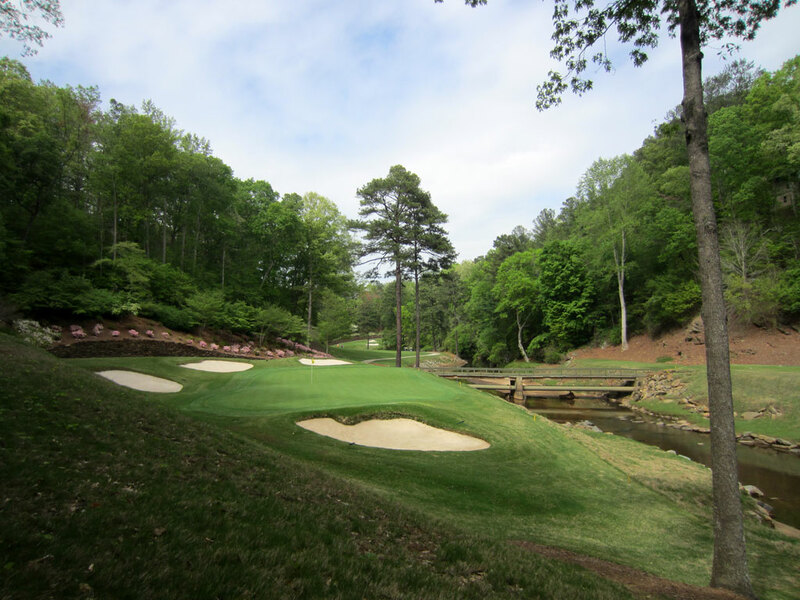 It was during this time that America saw a transition from "classic" style course (Peachtree, East Lake, etc.) to "modern" courses (Golf Club of Georgia, The River Club, etc.) which resulted in a hybrid layout that has its own unique feel. The course winds through a residential development which doesn't feel distracting to the layout due to the impressive nature of the multi-million dollar homes and the distance away from the playing corridors the residences are found. 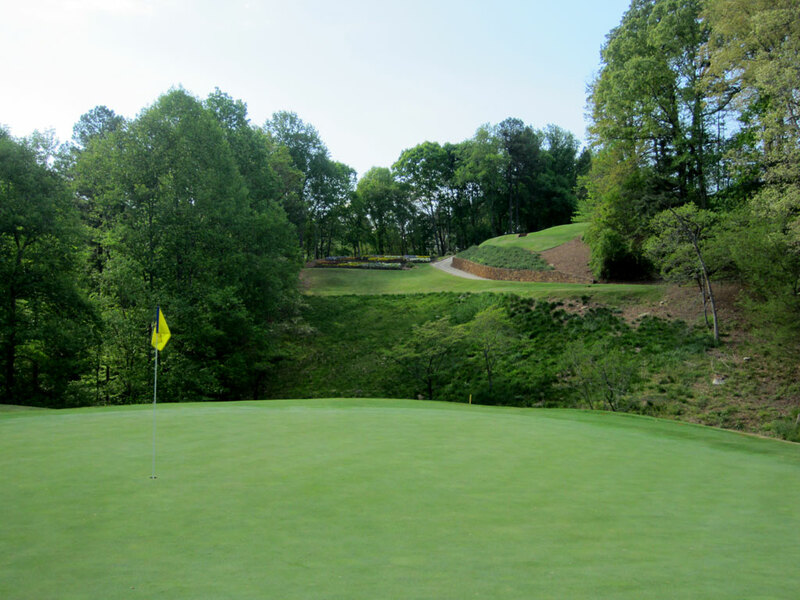 The numerous elevation changes throughout the round create several exhilarating downhill tee shots including on the three opening holes and the signature hole 13th. 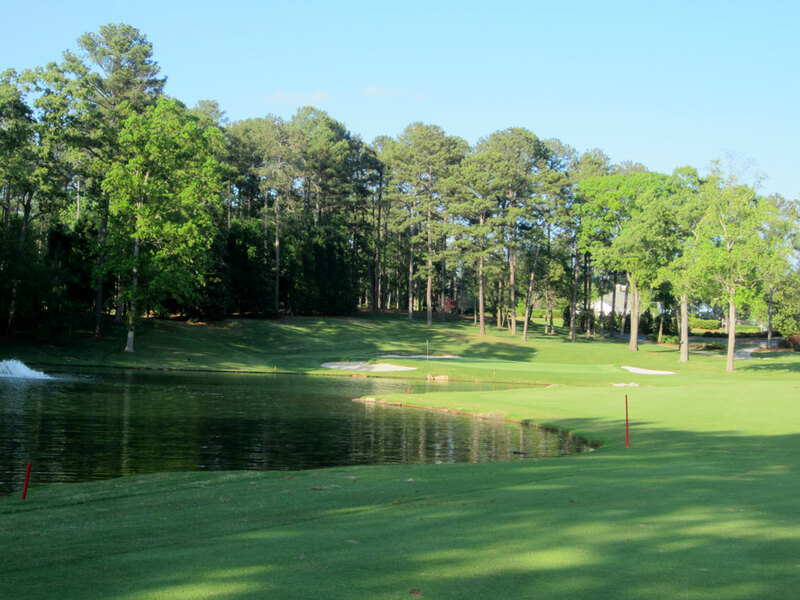 Water comes into play a handful of times on the front nine and features its most famous water hazard on the back nine as the finishing hole wraps around a lake from tee to green. Course conditions are beautiful and the service of the staff is second to none. When you are a guest at Atlanta CC, head professional Scott Schroeder makes sure his staff knows it. During my visit at the club there were five different staff members that checked on my needs and/or greeted me and each one of them called me by name; I've never had that happen before. The impressive clubhouse greets you at the end of the entry lane into the property and boasts beautiful views of the opening tee and finishing green. All in all, Atlanta Country Club is nothing short of fantastic. 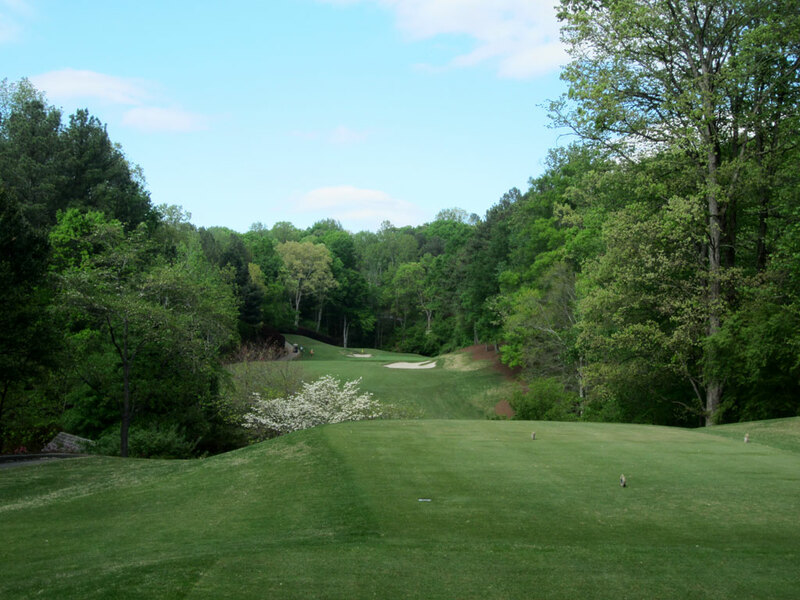 The variety of shots, hole lengths, and challenges offered place the course among the Peach State's elite tracks. Signature Hole: 13th Hole – 153 Yard Par 3 – The postcard hole at Atlanta Country Club is as enjoyable to play as it is attractive. Playing well downhill, a short iron or wedge is all that is required to fly the ball over the rows of flowers to the green below. Water meanders on the left side as a rock wall supports that side of the green from collapsing into the hazard. 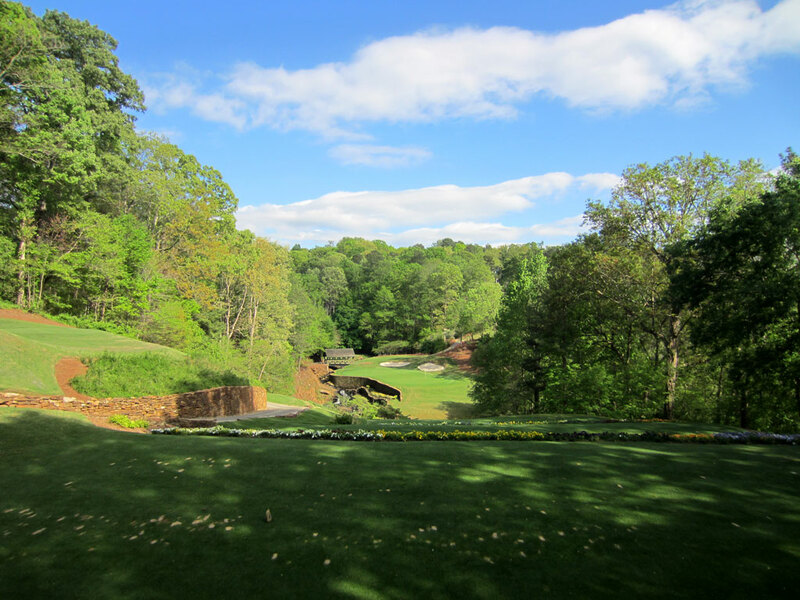 The two bunkers behind the green and covered bridge on the back left add to the aesthetics of this beautiful hole which is isolated by the tall amphitheatre of trees. Not overly challenging, the 13th hole is a nice reprieve and would make for a great photo on your wall if you managed to ace it. 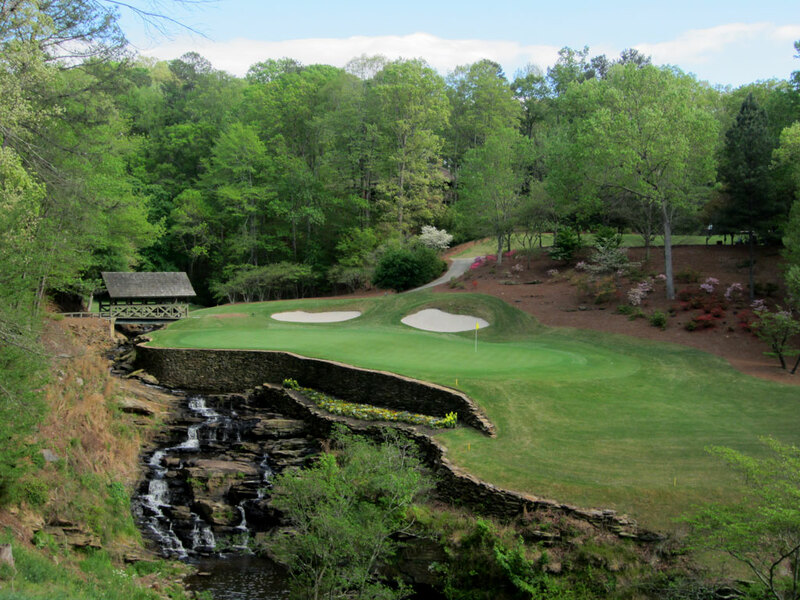 Best Par 3: 6th Hole – 205 Yards – When in Georgia one can't help but think of Augusta National, and the 6th hole at Atlanta CC may conjure up feelings of Golden Bell with this par three that plays over water to a green that features a collection of flowers in the background below the towering trees. 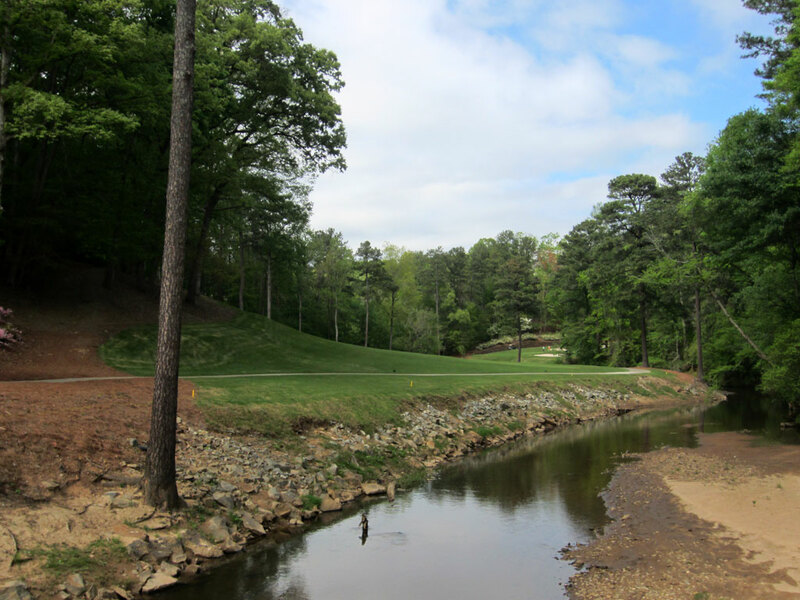 It isn't Hogan's bridge crossing Rae's Creek, but the attractive 6th hole shares similarities to Augusta's famed par three while adding 50 yards of length to the tips from its counterpart. Virtually every hole at Atlanta Country Club has memorable characteristics that make it special and this is another example of that. 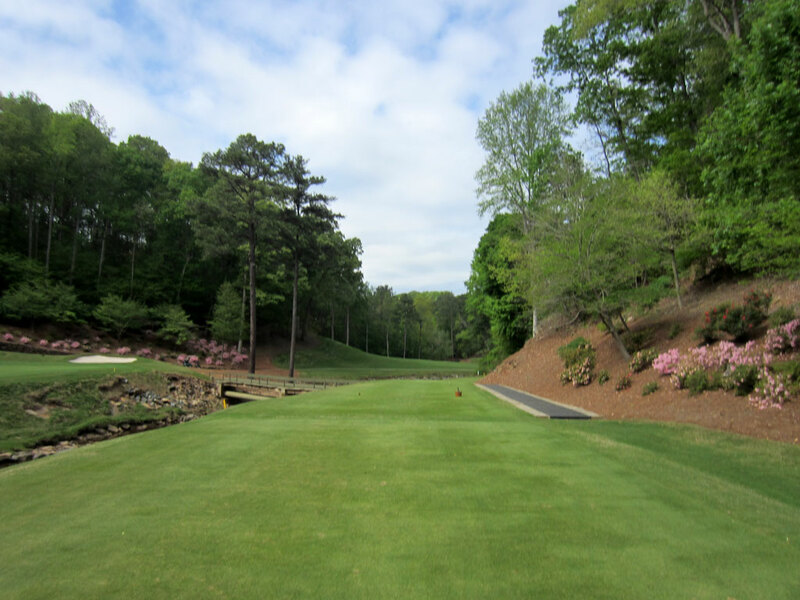 Best Par 4: 7th Hole – 370 Yards – The green is blind from the tee and the fairway is tight on this shortish par four. The hole doglegs right with water running up the right side before cutting in front of the elevated green. 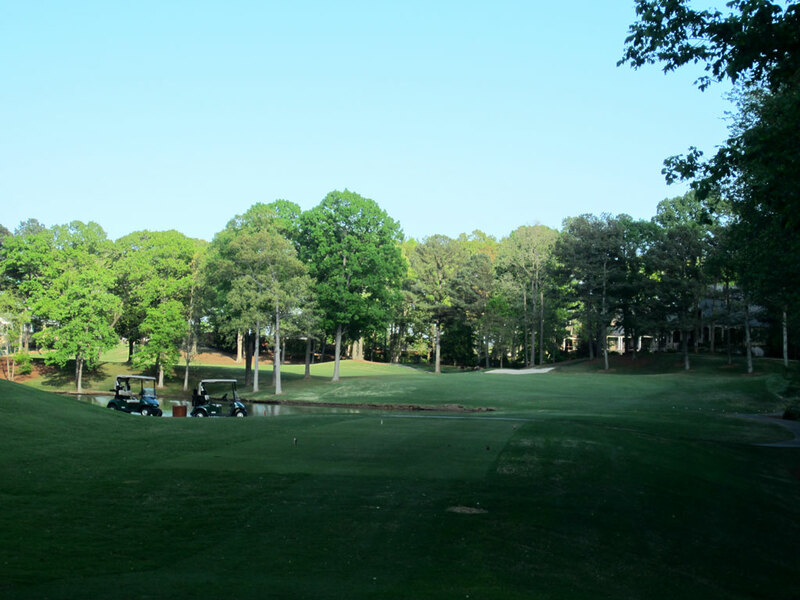 The fairway slopes from left to right and encourages players to utilize the terrain to work the ball towards the middle of the short grass with something less than a driver. Approach shots coming up short of the raised green will likely end up in a watery grave if the front bunker doesn't catch it. This hole is more about precision then brute strength so play to your strengths on this hole and you'll have a good chance to be in the hole in three strokes. Best Par 5: 18th Hole – 498 Yards – Atlanta Country Club's most famous hole is a big dogleg left around a small lake that is in play from tee to green. The line off the tee can be challenging as hitting it dead straight brings a bunker into play and trying to cut the corner will require clearing the grove of trees protecting the dogleg. Safety is found up the right side of the hole while the fairway widens and narrows up the left side the closer to the green it gets. Being under 500 yards it goes without saying that this hole is well reachable in two, and with a substantial backstop beyond the putting surface there is little reason not to go out with a bang on the closing hole. 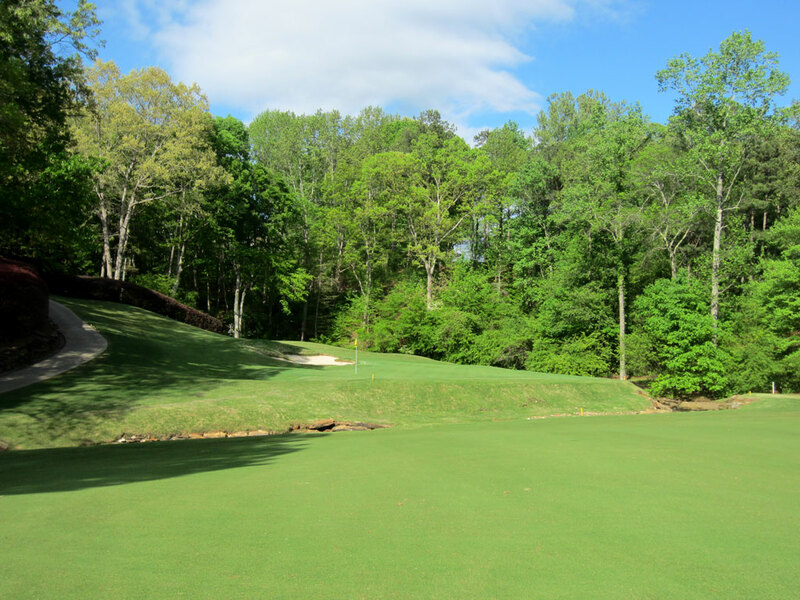 While many championship caliber courses utilize the finishing hole as a challenging par four, Atlanta's 18th give players an excellent opportunity to walk off the course with a smile on their face. Birdie Time: 14th Hole – 329 Yard Par 4 – After coming off the toughest hole on the course, you are given a chance to score well on the easiest. At just 329 yards you may be thinking of driving the green, but with a creek crossing in front of the putting surface players would need to fly the ball over 300 yards to clear the hazard. The more prudent play is to hit a club long enough to get past the bunker on the right but short enough to take the encroaching tree on the left out of play. If the pin is in the front of the green you'll have tons of width to play with and should go pinseeking. If the pin is tucked in the back of the green you'll have half as much width to work with and may choose not to be quite as aggressive. One way or the other, this is a great birdie opportunity that shouldn't be squandered on poor decision making. 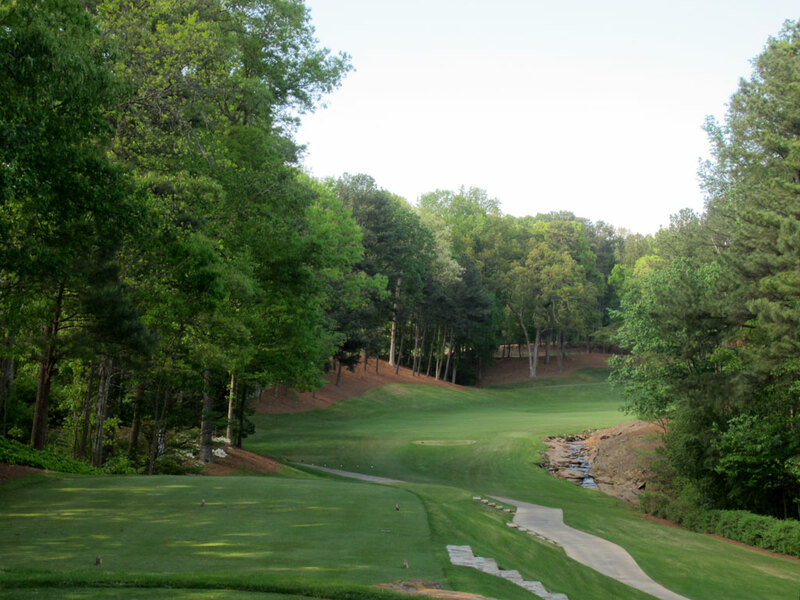 Bogey Beware: 15th Hole – 446 Yard Par 4 – Arguably ACC's finest hole, that 15th is also the course's strongest test. The tee shot demands a fade off the tee that doesn't cut too far into the creek that runs up the right side of the hole. The water crosses back across the fairway 20 yards short of the green which causes havoc with players looking to chase a ball onto the green or layup just short. Bunkers are found on each side of the green and add a bit more challenge to a hole that already demands two very good shots to reach the putting surface. 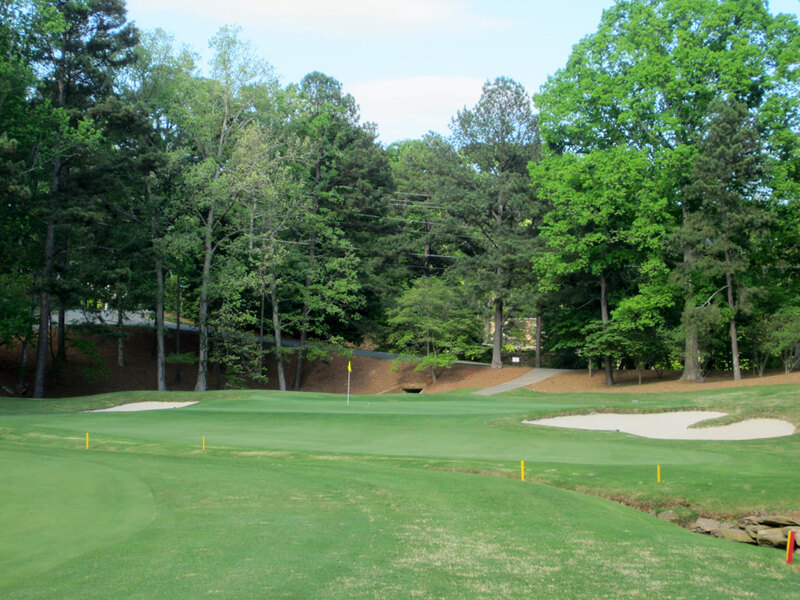 It is truly one of the gems at Atlanta Country Club and can quickly make or break your back nine.